Integral Eye Movement Therapy or IEMT is an effective, content free rapid change process for dealing with trauma and other negative emotions. It can also be used as a generative tool for identity level change. If you are a coach, counsellor, therapist, or anyone interested in helping people, it will help to enhance your ability to quickly help people with negative emotions and trauma. It will also give you the tools to support people to release unhelpful identity and better reach their goals and achieve change where other interventions have failed. IEMT explores how we learn to feel the way that we feel around undesired emotions and unhelpful ways of being, and opens up the possibility of rapid change in our emotional lives. Using guided precise eye movements, IEMT brings the client more into the present moment and enables them to quickly disconnect from past negative experiences. On day one you will discover how to use the eye movements in conjunction with IEMT patterns to address emotional imprints. On day two ways of working with issues relating to identity and ways of being will be explored. The course will consist of theory input linking IEMT to brain physiology, explanations, and plenty of opportunities for practice. 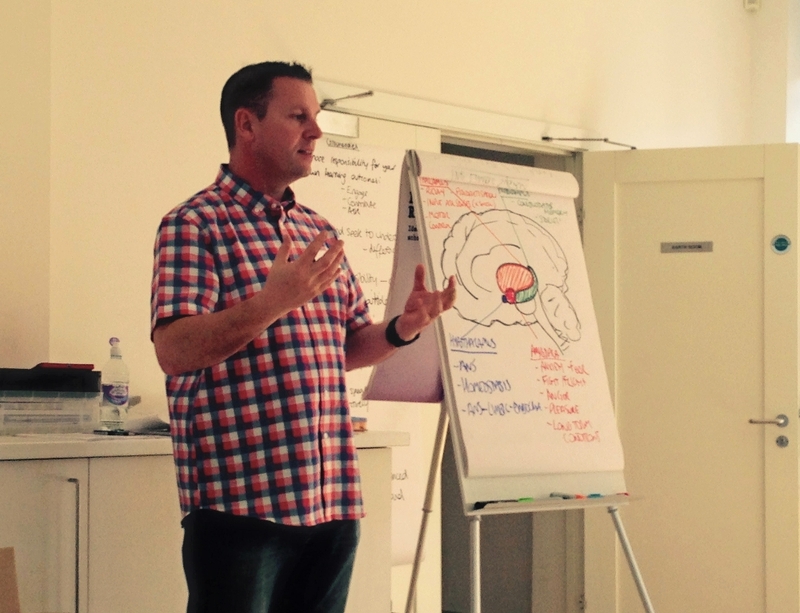 Trainer Alan Johnson is an experienced trainer of NLP and a certified Advanced IEMT trainer. He is passionately interested in the contribution NLP and IEMT can make towards personal or professional change work. Attendance at the two day IEMT course is available for £375 if sponsored by employers, discounted to £275 if self funding. I told one of my colleagues about it and she wanted to know if it could help her with her fear of spiders. We gave it a go and when I asked her to get the feeling [fear] back she said she had to think harder, looked a little confused and said “what have you done?”. It was gone. – D.S. I wholeheartedly recommend it to anyone who wishes to be more effective in their change work. – C.O.D.